Since the early 1970’s, 17 killer whales (orcas) have died at Marineland of Canada with an average age at the time of death just over 8-years-old. Over the same time period SeaWorld has lost 36 orcas at its 3 U.S. parks with an average age just under 14-years-old. Although recent evidence has suggested that wild, male orcas live an average of 30+ years and females 50+ years (and many well into their 80s, 90s or longer), it is truly unusual that one marine park, SeaWorld, would sue another, Marineland of Canada, citing numerous concerns over animal welfare. In what is normally a close-knit, secretive and self-governing industry, it is rare that dissention amongst their ranks would expose their shadowy inner-workings. 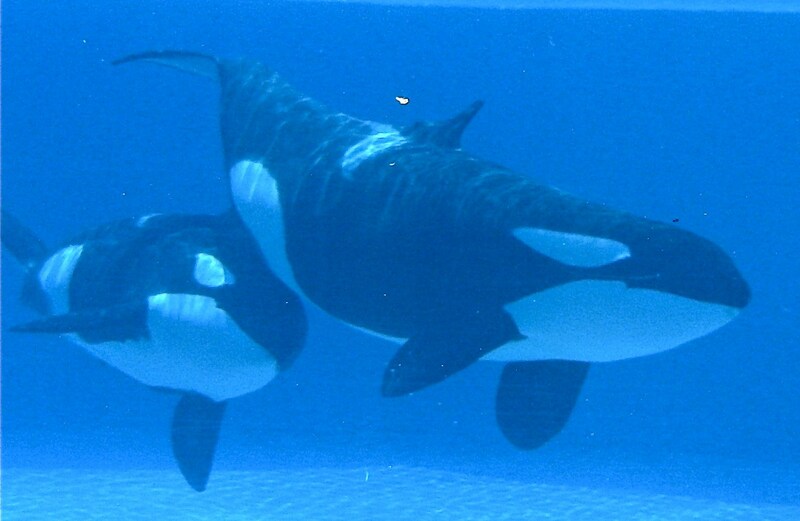 However, this was the case in 2011 (reported HERE by The Orca Project) as an international custody battle pitted these two marine parks against each other as SeaWorld attempted to regain custody of Ikaika (Ike), a young male orca on a breeding loan to Marineland. Poor dental health, infection, bacteria, stress, breeding, compatibility, aggressive behavior, trainer safety, etc were all entered into evidence in Canadian courts by SeaWorld’s attorneys in their eventual success to return Ike to the United States. 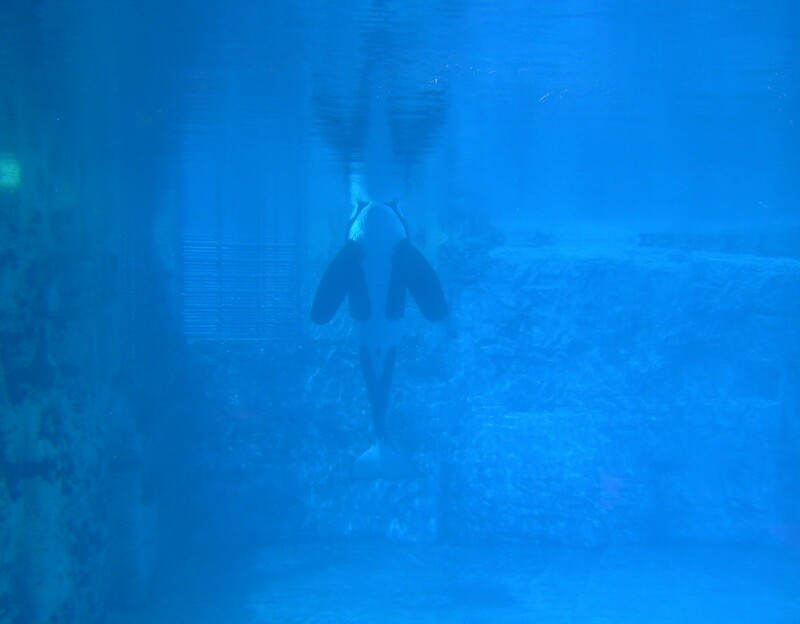 The ultimate decision came despite the fact that many of the same problems exist at all of SeaWorld’s parks… as well as Marineland… with all of their captive marine mammals. With Ike’s return to the U.S., Kiska (estimated to be 38 years old) remains as the lone female orcaat the Canadian facility since she was captured in Iceland in 1979. Now, for the first time ever, former animal trainers at these two parks are banding together to expose how this multi-billion dollar international industry has literally been riding on the backs of these highly intelligent and socially complex mammals for many years. Ever since the unfortunate death of SeaWorld trainer Dawn Brancheau 3 years ago, Samantha Berg, a former SeaWorld trainer herself, has been outspoken about the detrimental effects of captivity and how animal welfare, health, education and conservation are not at the top of any marine entertainment facility’s agenda. (Read The Orca Project’s Exclusive interviews with Samantha Here and Here). As a growing contingent of former trainers came forward to form the group Voice of the Orcas, Samantha (Sam) has remained steadfast in her resolve to raise awareness about the marine mammal entertainment industry and to share her experiences and expertise. Today, in an Orca Project exclusive, Sam shares her interview conducted with former Marineland of Canada animal trainer Phil Demers. He, along with fellow-trainer and girlfriend Christine Santos are embroiled in yet another Marineland controversy as owner John Holer is suing both for speaking out about the well-documented sub-standard conditions at the Niagara Falls marine park. As a former SeaWorld marine mammal trainer, I, along with my colleagues at Voice of the Orcas, have been actively involved in getting the message out about the suffering marine mammals face in captivity, even in those facilities that meet or exceed current government standards. However, some people may be unaware that there are many marine mammal parks, zoos and aquariums in the world that do not even meet the minimum standards for animal care and well-being, and the animals in those facilities suffer horribly. Last year, Phil Demers, an animal trainer who had worked at Marineland Ontario for 12 years, quit his job and started to speak out in public about the unspeakable animal suffering he witnessed while working at the park. One of his issues was the water quality in the facility was so bad that it was actually damaging the animals eyesight and causing irreversible physical harm. You can read more about that story here in the Toronto Star. Recently Phil and his girlfriend Christine were both sued by the park’s owner, John Holer, even though the truth that they have shared with the public has been well-documented in the media. Phil and Christine are in desperate need of financial support to help them in their legal fight against the park. The former trainers also need support and solidarity from the Marine Mammal community at large. Anyone currently working in the industry (or formally in the industry) would not want to see their animals treated in the same way that Marineland has been treating theirs. It is a stain on the entire marine mammal industry to have a substandard facility that can’t adequately care for their animals being allowed to bully and intimidate their employees just because those employees have bravely come forward only to ask for better conditions for the animals under their care. The only reason Phil and Christine have had to quit their jobs was because they could not find a way to change anything from within the company, so they have had to leave the animals they love in order to find help elsewhere. Also, it is important that the entire cetacean rights community comes to the aid of Phil and Christine as quickly as possible. If they are unsuccessful in fighting back against Marineland’s bullying, then Marineland’s tactics will effectively have succeeded in that future whistleblowers, like Phil and Christine will be less likely to step forward in the future. 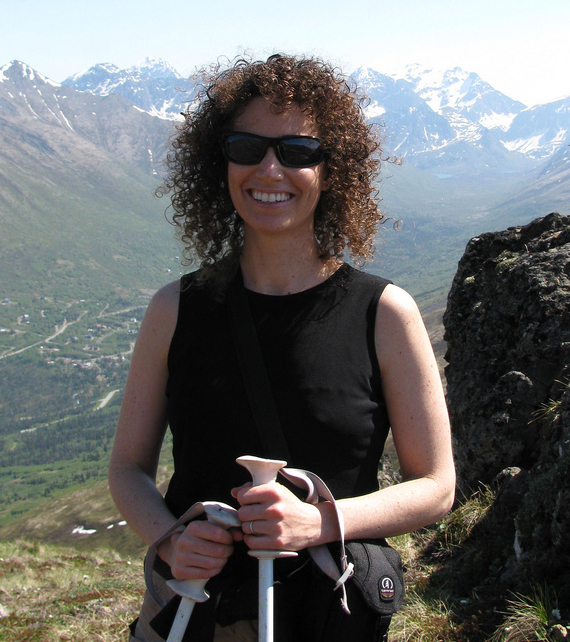 Samantha Berg, M.Ac., L.Ac., Dipl.AC. Samantha Berg (SB): Can you tell us a little bit about what has been going on at Marineland? Why did you decide to quit? Phil Demers (PD): Back in May of 2012 I made the difficult and desperate decision to leave my job of 12 years at Marineland of Canada as a result of what would best be described as deplorable and worsening conditions for the animals at the park. This came after repeated attempts to have the issues resolved in house by myself and other members of the marine mammal, land animal, and building maintenance departments. Saying goodbye to the animals and team members was one of my life’s most difficult decisions. In or around July of the same year I decided to participate in an investigation by the Toronto Star newspaper along with what would eventually become 15 whistleblowers to expose the park for its poor treatment of the animals. I came out in the media on Aug 15th 2012 (click HERE to read more) and served on Feb 12th 2013, with more suits being threatened my way. 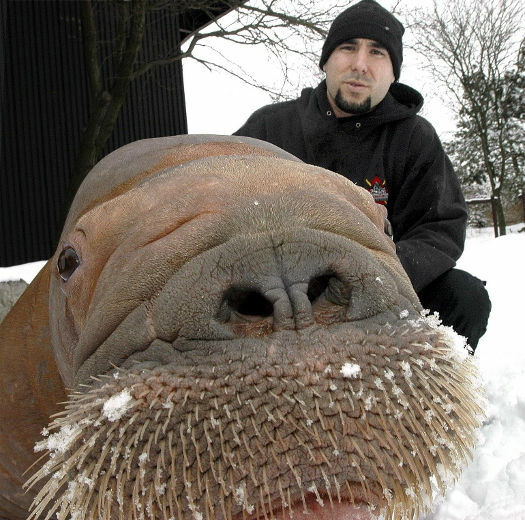 PD: Smooshi is a wild caught pacific walrus that came to Marineland in 2004 in poor health. Through a traumatic experience, and my attempt to console her, a phenomenon known as imprinting occurred in which she immediately recognized me as a maternal figure. 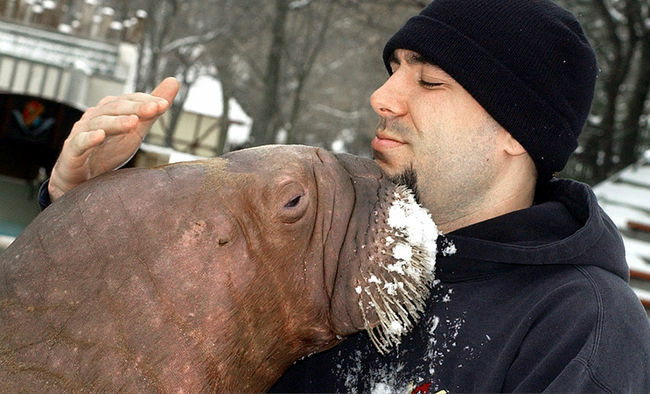 I can’t adequately express what this bond meant to both Smooshi and I, but her suffering proved a catalyst in all of my decision-making, and continues to strengthen my resolve to defend her and all the animals at Marineland. SB: What happened to Christine? How did she get fired? PD: Christine is my girlfriend of nearly 7 years and also a former employee of Marineland. After I came out publicly as one of Marineland’s whistleblowers, life at the park became increasingly difficult for her. She was harassed, intimidated and ultimately fired after 12 years as one of the parks most dedicated and hardworking senior marine mammal trainers She is in fact the face of Marineland’s iconic commercial, as the girl who gets kissed by a beluga whale. More importantly though, she was Kiska’s (Marineland’s lone remaining orca whale) primary trainer. Shortly after being fired, Christine joined the whistleblowers and expressed her concern for Kiska’s poor health. Marineland’s harassment and intimidation continued, until Christine was ultimately served with a defamation lawsuit, claiming $1.25 million in damages. Christine was fired on Oct 17th 2012, and served on Dec 13th. SB: What do you think Marineland hopes to gain by suing you? PD: In launching the lawsuits, Marineland intends on silencing it’s critics, and punishing those of us who have stepped forward in defense of the animals. They also intend on ultimately bankrupting us as few people have the resources to contend with corporations, and even though the frivolous lawsuits are by and large absurd, the process of defending is very costly and as a result very effective in its intentions. As targets, we are being made examples of for others thinking of stepping forward. SB: Do you have a lawyer to help you in the case? PD: I do not have legal representation yet. SB: What is yours (and Christine’s) current situation? PD: Christine is working part-time now and I have yet to find employment. One of the consequences of being thrust upon the front pages of international media in some of the most peculiar capacities is that prospective employers are apprehensive to give me a chance, which is another bi-product of Marineland’s continued bullying. SB: What are the legal costs and how much has been raised at this point? PD: We’ve currently raised $21k (including a generous donation of $5k from Sam Simon) and hope to raise an additional $10k in the next 2 weeks. Our first legal bill came in around $12k and we’re perilously close to running out of funds. This cost only reflects Christine’s lawsuit, as I’ve only recently been served. Suits of these natures are estimated to cost in the range of hundreds of thousands of dollars. SB: What will be gained by you and Christine having the resources to fight in court? PD: The benefit of this process however is that if we sustain this battle, Marineland will be forced to open up their books, substantiating the whistleblowers claims, and revealing much of the parks much guarded records. SB: Is there anything people can do to help you and Christine? PD: The best way to help is to donate to the indiegogo/marineland site, and to follow me on twitter @walruswhisperer to keep up to date with the proceedings and to keep the plight of Marineland’s animals alive. Much work remains ahead. The Orca Project would sincerely like to thank Samantha Berg for her contributions to this story and for her undying commitment to helping the captive animals in need. You can visit Samantha’s page at Voice of the Orcas HERE. Are you serious? “only ever been 1 orca” ? You’re clearly dillusional….have you ever even been to marineland? The last time I was there they had 3 orcas, one of which was a baby (which died btw). They didn’t “rescue” anything. They keep the animals there because the owner is a greedy pig who starves his animals and forces them to live in horrible conditions during the off season. Wake up! I have noticed a correllation between the rise of the New Age Movement and animal rights’ activism. These so-called ‘activists’ should channel their efforts to more worthwhile causes such as stopping the wholesale slaughter of whales and dolphins in Japan . . . leave oceanariums alone – God gave man dominion over ALL animals! Some good news about orcas. A scientist in British Columbia guided a young lost killer whale to the ocean. “He seemed to be very interested in leaving — he’d go right up to the entrance, but he wouldn’t cross the threshold,” said Barrett-Lennard, who was still in the area and speaking over satellite phone. “Killer whales are very conservative animals; they’re very cautions. I think he was just afraid to go over that shallow area to get outside.” Barrett-Lennard returned to the bay last Saturday, but Sam’s condition had deteriorated. Barrett-Lennard said he could see a depression behind the whale’s blowhole, which indicates poor nutrition and weight loss.It was clear something needed to be done. On Thursday, Barrett-Lennard and a Fisheries Department crew stretched a floating rope across the bay behind the whale, leaving the animal between the rope and the bay’s entrance. Despite their fierce-sounding name, killer whales are particularly nervous creatures, said Barrett-Lennard, and even a rope floating on the surface can be enough to cause a whale to steer clear. That allowed the crew to use the rope to essentially corral the whale toward the bay’s entrance. “As soon as he was close to the entrance, I played some of his calls back on our underwater speaker, and he shot thought the opening like a cork out of a bottle,” said Barrett-Lennard. Four of the 12 fishermen who were hunting Thursday managed to swim to shore, but there was no sign of the others. After a major search, the remaining eight were found in a neighboring subdistrict after a 16-hour swim to shore. great blog, thanks, free the whales! Glad to have found you on WordPress. Your future posts will be on our radar. Thanks to the Orca Project and Samantha Berg with Voices of the Orcas for keeping us informed on these events! 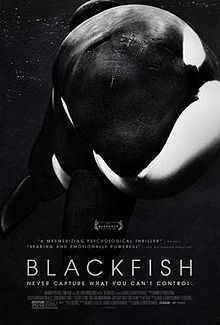 I can only hope that what the former trainers have to go through will ultimately bring attention to where it belongs: on the sad cases of the captive orcas!